Categories: Agency Essentials, Books for Adoptees, Books for Teens & Tweens, Children's Adoption Books by Age, Classic Adoption Books, Growing Up Adopted, Tapestry Picks. The challenging teen years can be even more difficult for adopted teenagers, many of whom have unanswered questions that may result in fear, anger, and low self-esteem. These feelings may be compounded by the isolation they feel because most friends and family members cannot fully relate to their situation. Adopted: The Ultimate Teen Guide enables young adults to explore their feelings as they read about the personal experiences of other adopted teens. 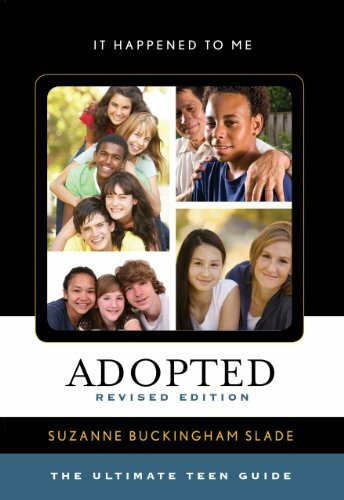 Through these stories, adopted teens can learn how others have resolved some of their adoption issues and gain powerful insights from those who have experienced some of the same frustrations, struggles, and concerns. This revised edition also features discussion questions at the end of each chapter that help teens and loved ones acknowledge and verbalize their concerns. With up-to-date statistics, as well as insights from experienced adoption professionals who offer practical advice, this edition of Adopted: The Ultimate Teen Guide is a valuable resource for adopted teens as well as their families and friends.